The 5th Annual Top Fuel Shootout at Dome Valley Raceway in Wellton, AZ produced some incredible racing in great Arizona January conditions. Dennis Rieck and the Hammer Down Hemi threw down Low ET of the weekend in the Saturday Night Qualifying session with a 2.266. Dennis will get the first round bye while Billy Morris and Marcus Norris will face off. Rod Trower continues to lead the Top Alcohol class with a 2.47. Paul Taylor withstood some great runs on Saturday to hang on to the top spot with his 2.960 pass from Friday. But the big news was Robert Skidmore lowering the Fast Fours World Record running a 2.730 in the night session backed up by a 2.759 earlier in the day. In the bracket classes, Tony DeNunzio kept up the winning ways for the DeNunzio family in their new ride as he took the Open Pro class win. Mark Ratliff showed them how it’s done as he topped an extremely tough Motorcycle Open Pro field. Other winners on the day included Forrest Hudson (Sportsman 1), James Varnadore (Sportsman 2), Aaron Bailey (Motorcycle Sportsman 1), Jeff Coale (Motorcycle Sportsman 2), Ryan Rodriguez (Junior Dragster), Taylor Cameron (Kids), and Keagan Lemons (Youth). Action continues on Sunday with Eliminations in the Heads-Up and Pro Bracket categories. 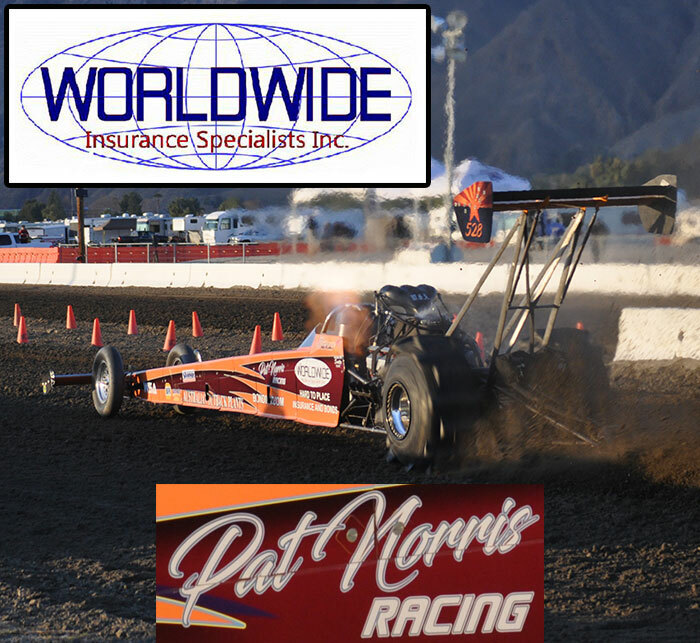 Day one of the 5th Annual Dome Valley Raceway Top Fuel Shootout in Wellton, AZ is complete. Dennis Rieck and the Hammer Down Hemi lead Top Fuel Qualifying after the early qualifying rounds with a 2.32/138MPH blast. Oklahoma’s Rod Trower is the #1 Qualifier in Top Alcohol with a nice 2.47/143MPH run. Paul Taylor started off the new race season on a high note with a solid 2.960 to lead first day qualifying in Top Eliminator. Mario Tavares is the Fast Fours Qualifying Leader with a 2.871. Al McKinney was the big winner in the PTN-sponsored Pro Truck class as he defeated Kenny Hayes in the final round. New Mexico’s Steve Jackson emerged as the winner in the Pro Shootout class over “Wild Willie” Bill Swim. Jeff Coale nearly earned a double up victory as he took the Pro ATV win over Heather Taylor, but Jeff lost a close final in the Sportsman ATV final round to Jack Vandigriff. Racing action continues on Saturday with a full day of on track action.